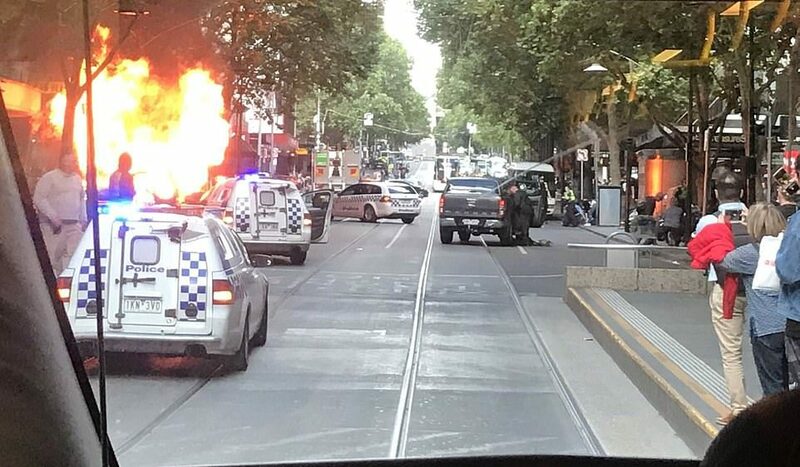 ISIS has claimed that the knife-wielding Somali terrorist who was shot dead by police after crashing a car on Melbourne’s Bourke Street and setting it on fire, before stabbing three men, killing one, is one of their own. Lone wolf attacker Mohamed Khalif, who also goes by Hassan Shire and is known to counter-terrorism agencies, was rushed to hospital in a critical condition but later died from his wounds. 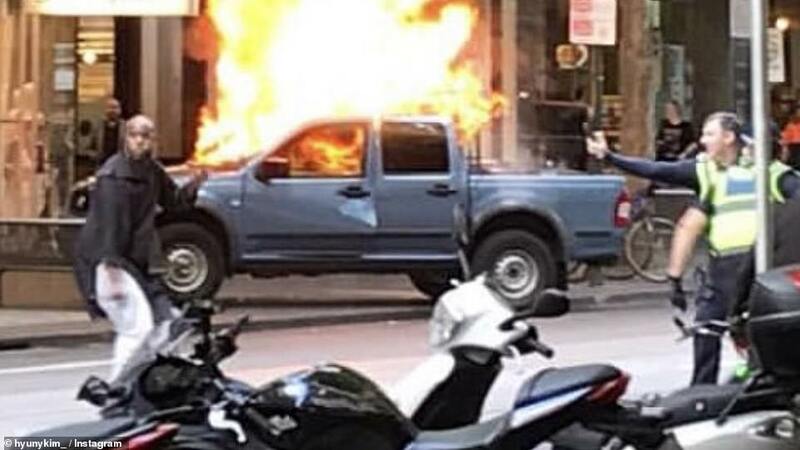 Officers shot him in the chest after his Holden Rodeo loaded with gas cylinders hit a pedestrian as it mounted the kerb and exploded outside Target near the Swanson Street intersection about 4.20pm on Friday. The 31-year-old was known to counter-terror agencies at a state and national level and was believed to have ties with North African extremist groups. Khalif’s passport was canceled several years ago after he was flagged as one of 300 potential security risks. 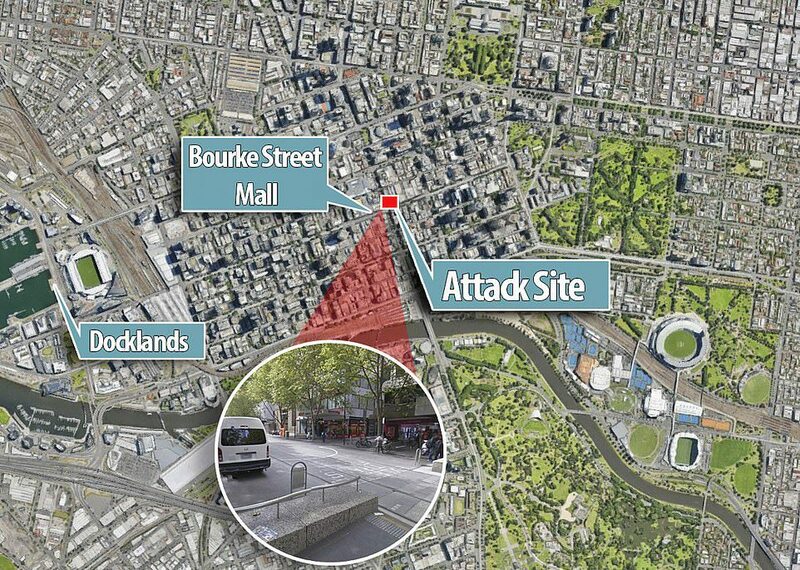 ISIS later claimed the attack as their own via their propaganda platform, saying ‘the perpetrator of the operation in Melbourne was an Islamic State fighter and carried out the operation to target nationals of the coalition fighting IS’, Amaq reported, allegedly quoting a jihadist security source. ISIS has previously claimed responsibility for attacks that were later discovered to be unrelated to the organization. 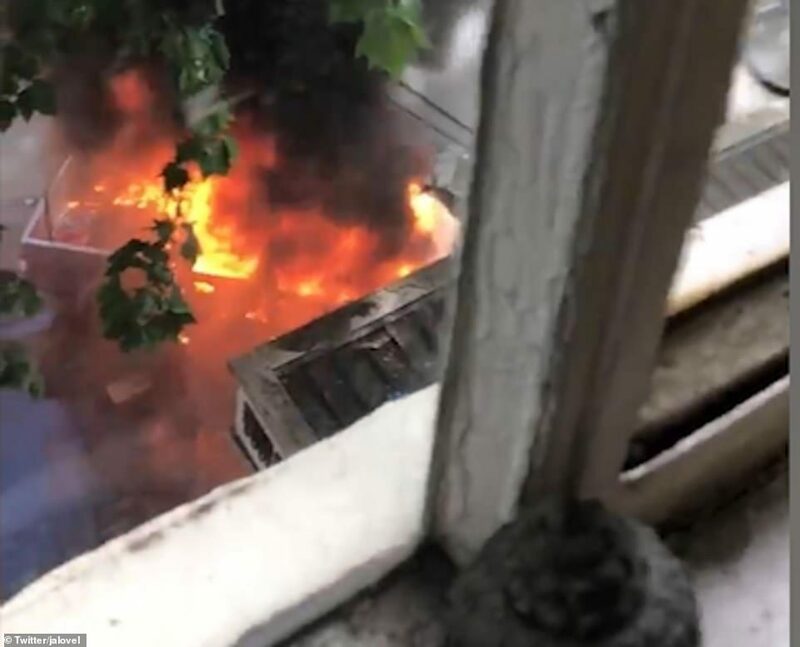 Two police officers arrived on the scene to investigate the car fire and Khalif charged at them, punching one through a car window and lunging at them with a knife. 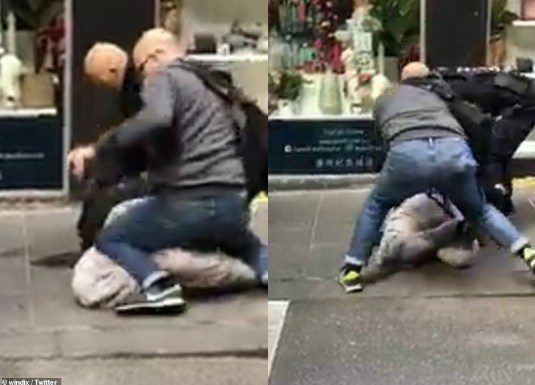 He then chased the officers around a tree as they tried to avoid his blows and convince the man to surrender, and a brave bystander tried to stop the attack by running him down with a shopping trolley. The officers then retreated to the other side of the road as the bearded attacker with a shaved head and dressed in a long brown tunic, pursued them as horrified bystanders called on police to shoot him. Khalif again attempted to stab and slash at the officers several times before one policeman unsuccessfully tried to taser him and his partner shot the assailant in the chest. Khalif clutched his chest and fell to the ground where he was quickly arrested on the pavement by two officers and rushed to hospital under police guard. No officers were injured. Premier Daniel Andrews said the attack was ‘an evil and terrifying thing that’s happened in our state’. ‘Our thoughts and prayers are with everybody touched by this, but we will not be defined by this,’ he said. Victorian Liberal Party leader Matthew Guy said ‘we must eradicate this sort of thing,’ in a media conference shortly after. Another bystander, who lunged at Khalif using a traffic cone, told the Daily Telegraph the offender had ‘crazy eyes’. Another young witness, who was working at a local KFC at the time, recollected the moment he saw all the blood from one of the victims, who was face down on the footpath. 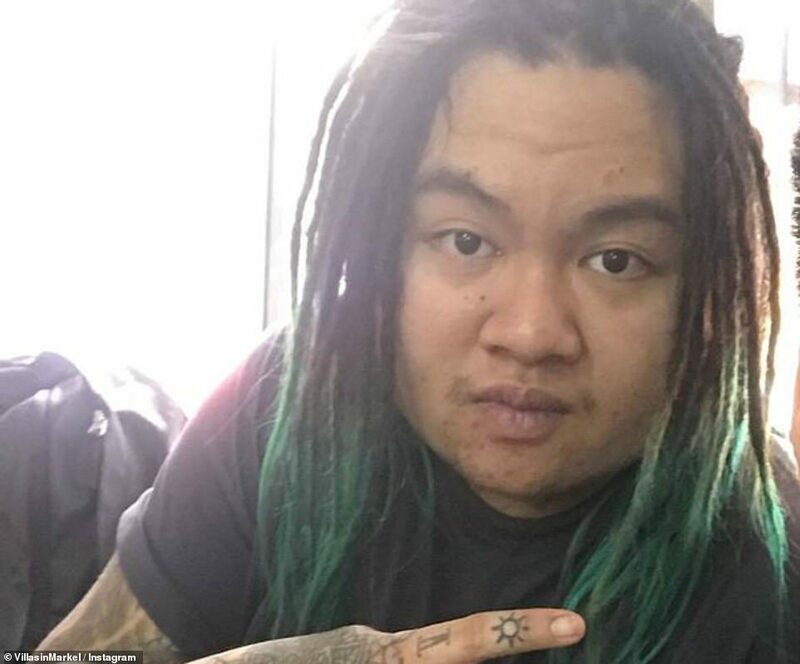 Markel Villasin, 22 and his bosses ran out of their store when they heard a ‘commotion’ said saw Khalif holding a knife and swinging it at police officers. ‘It looked like police officers didn’t know how to handle the situation because obviously in Melbourne it’s so rare,’ Mr. Villasin told ABC. Mr. Villasin saw the man was breathing but appeared to be ‘bleeding out’, as emergency responders attempted to resuscitate him using CPR. Despite the desperate attempts to save the man, he later died from his wounds. ‘Unfortunately, the man passed away, they put a sheet on him. It was crazy because he was alive at my feet as they tried to work on him and then he passed away,’ Mr. Villasin said. Khalif moved to Australia from Somalia in the 1990s, Victoria Police commissioner Graham Ashton said, and had a record of ‘minor’ offenses in relation to ‘cannabis use, theft and driving offenses’. ‘He is someone that is known to both Victoria police and at a federal level,’ Mr. Ashton said. 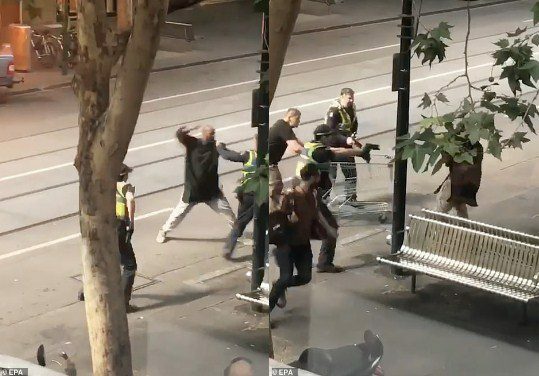 Mr. Ashton was asked about reports from eyewitnesses that Khalif screamed ‘Allahu Akbar’ as he chased pedestrians, to which he could not confirm. Prime Minister Scott Morrison also released a statement condemning the actions of the assailant. ‘Australians will never be intimidated by these appalling attacks and we will continue to go about our lives and enjoy the freedoms that the terrorists detest,’ he wrote. 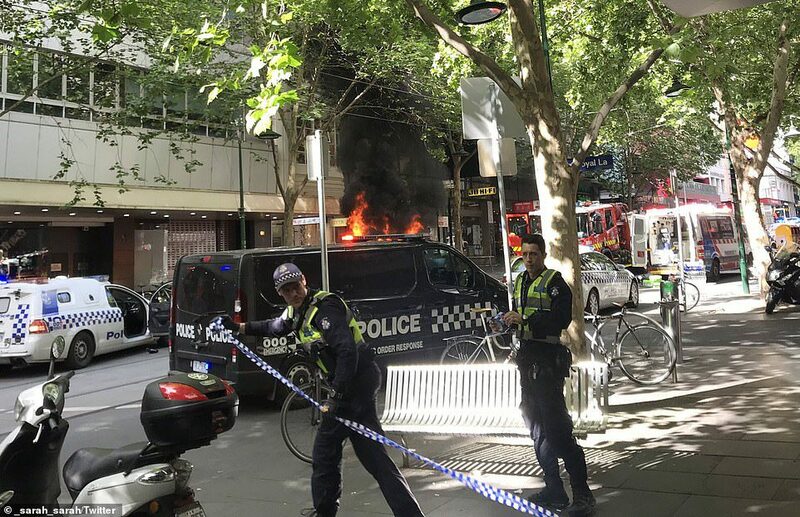 Victoria Police said officers responded to reports of a car fire before they were confronted by the man. ‘Officers were confronted by a male brandishing a knife and threatening them,’ Superintendent David Clayton said. Counter Terrorism Command in conjunction with the Homicide Squad will investigate the incident but police do not perceive any ongoing threats at this stage and are not looking for anyone else in relation to the attack. ‘The exact circumstances are yet to be determined at this stage. The area has been cordoned off and the public is urged to avoid the area,’ they said earlier. 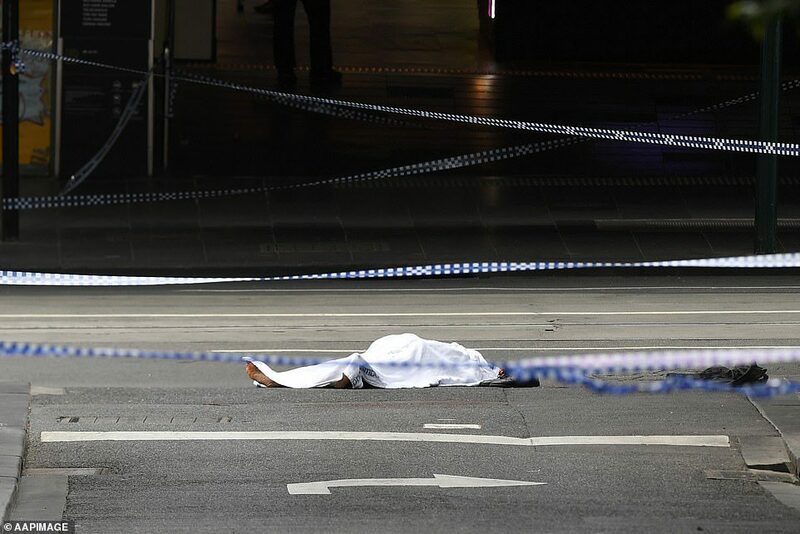 Khalif was taken to Royal Melbourne Hospital in a critical condition after he was shot in the chest, where he later died. One of his victims had a head injury, and another an unknown injury. Witnesses said one of those injured was a security guard who tried to intervene. One of the victims was identified as Tasmanian man Rodney Patterson, 58. 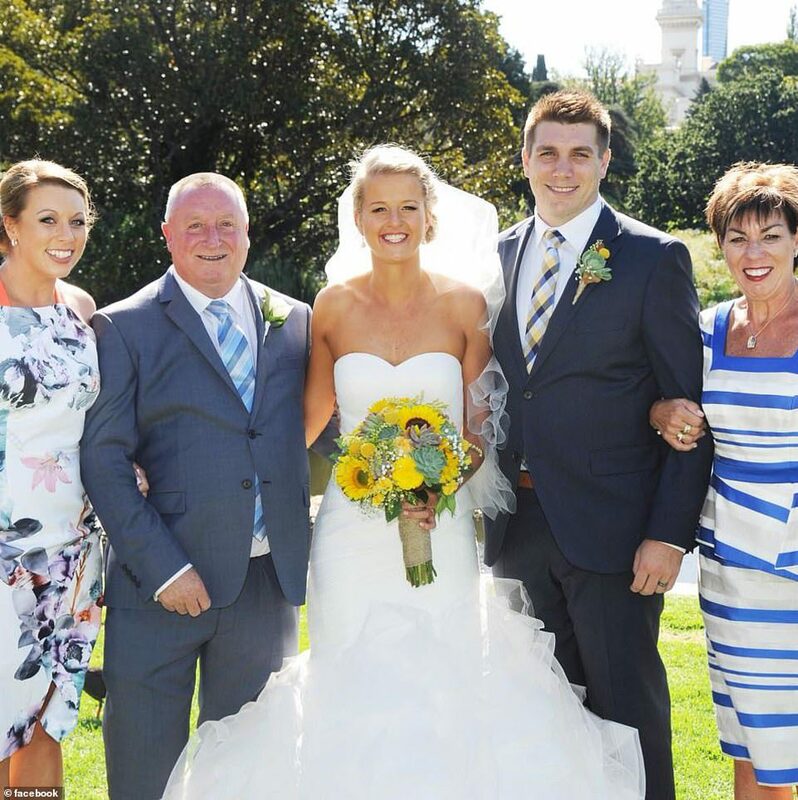 His wife Maree took to social media to share the harrowing turn of events, detailing how she and her husband were ‘caught up in the attack’ before he was stabbed. ‘Rodney was hurt – the good news is he is in a great hospital and doing ok given the circumstances,’ she posted on Facebook. 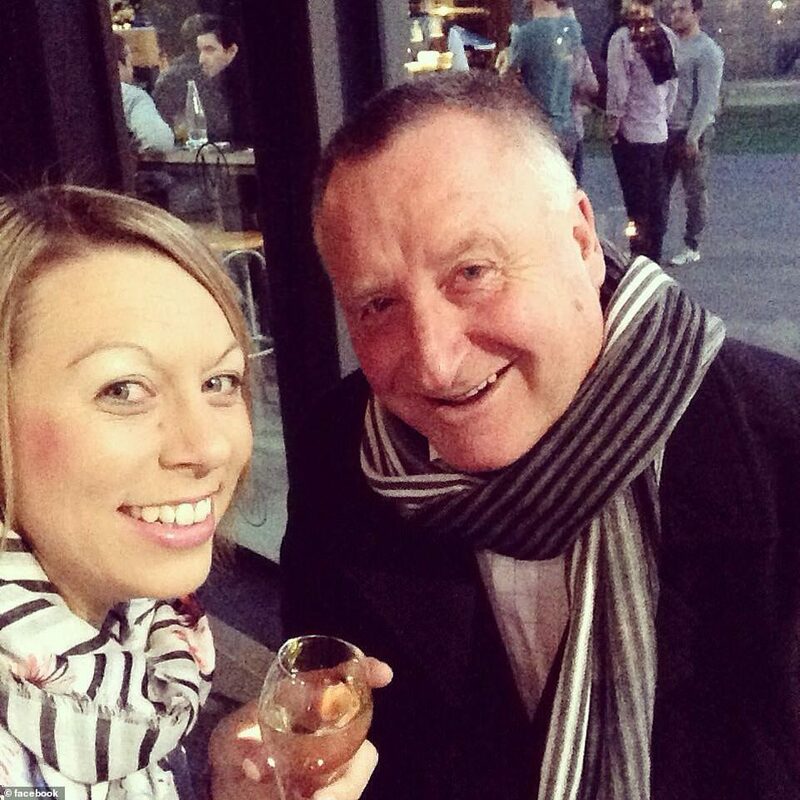 Tasmanian MP Will Hodgman praised Mr. Patterson’s ‘brave’ actions. Another 26-year-old victim is yet to be identified. A police officer sustained minor injuries but was treated at the scene. 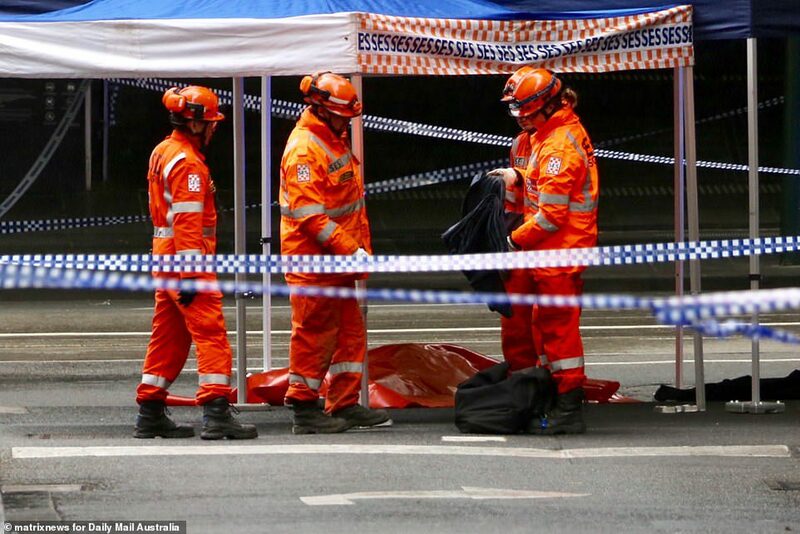 Another man, in his 60’s, died of his injuries at Royal Melbourne Hospital. ‘People were trying to help victims because he was just knifing at random. 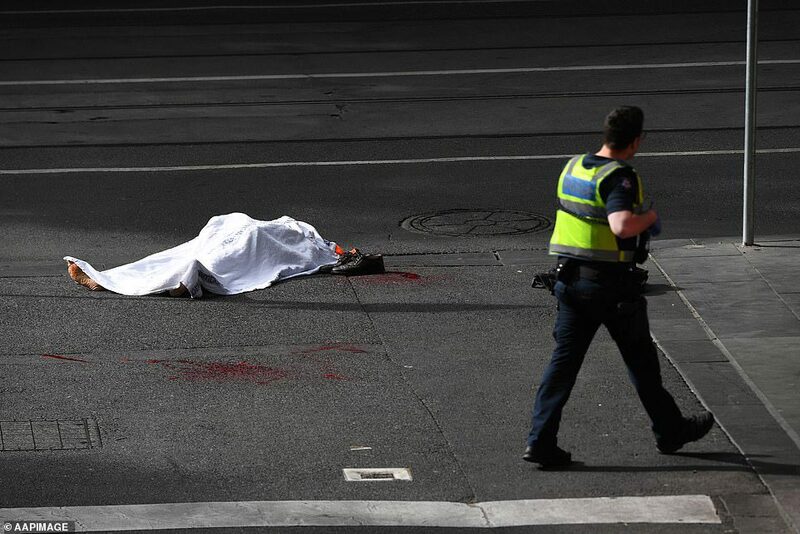 The security (guard) from building next door was also stabbed, but I saw he was sitting up so we know he survived,’ a witness told the Herald Sun. ‘Police response was swift and overwhelming. I heard at least one gunshot initially,’ one said. Another said they heard ‘what sounded like a bomb and gunshot’. ‘Roads are blocked and police advising to stay away from Bourke St. 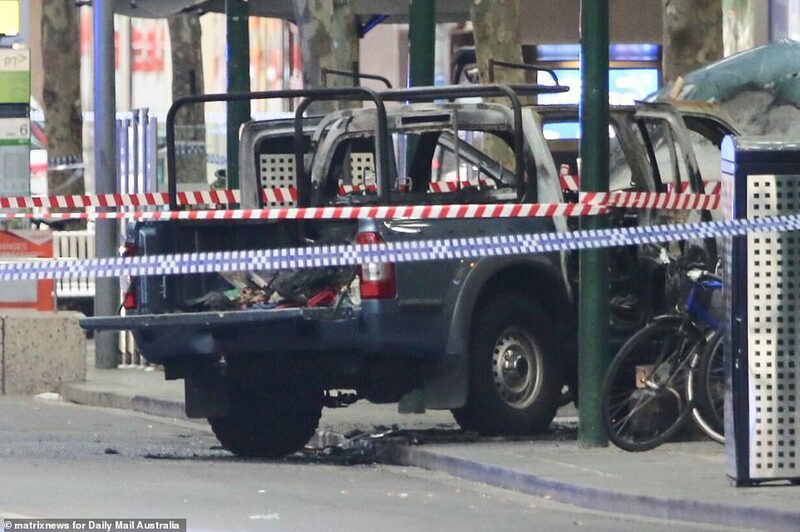 Feels like De Ja Vu,’ they said, referring to the car attack on Bourke Street Mall last year that killed six people. Panicked pedestrians ran in all directions from the scene, some hiding in nearby cafes and shops, locking themselves in back rooms. 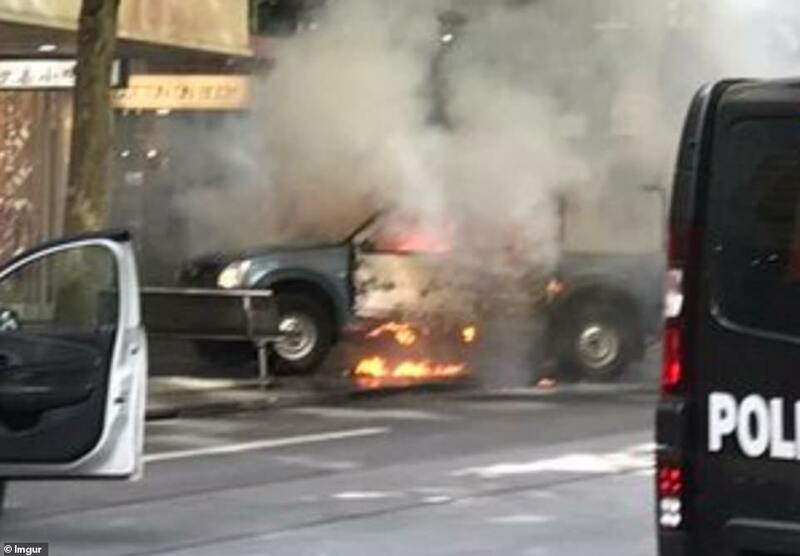 The area was locked down and the public shooed away while stores including Myer, Target, and David Jones evacuated and the bomb squad was called in to assess the car. The fire was brought under control within about five minutes, a Metropolitan Fire Brigade spokeswoman said. The fire brigade initially discovered ‘BBQ style gas cylinders’ inside the vehicle, but the bomb squad ‘rendered them useless’ shortly thereafter. Police are asking people to avoid the area, saying the streets may be blocked off until as late as 8 am Saturday morning. 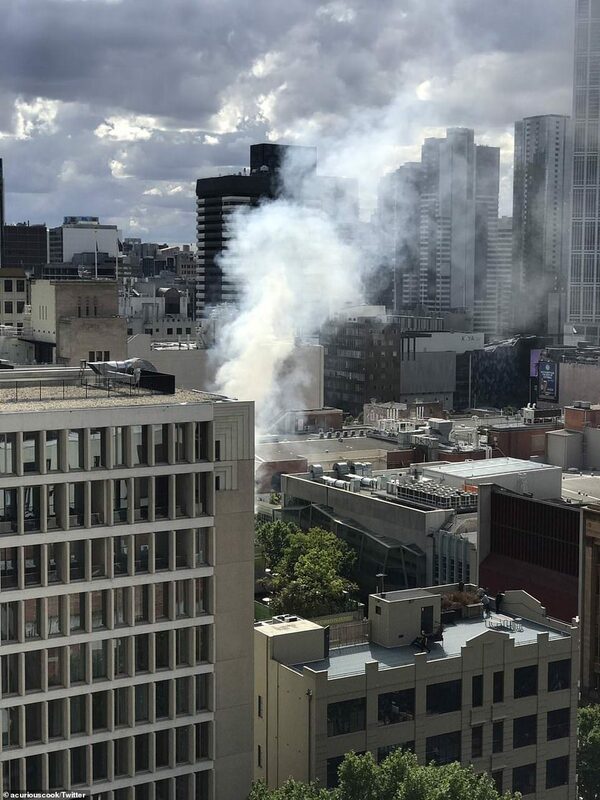 Melbourne Lord Mayor Sally Capp praised emergency services for their efforts and the city for coming together to support each other. 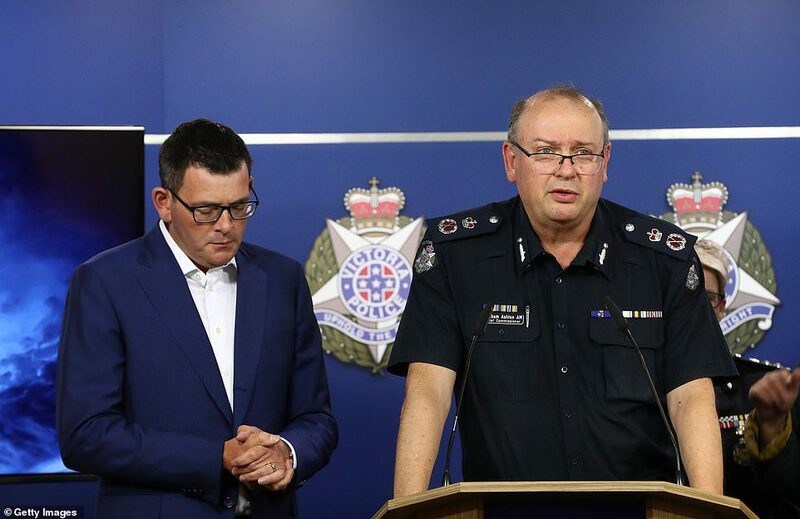 ‘Melburnians should be reassured by the rapid response from Victoria Police and emergency services who worked quickly, bravely and effectively to minimize harm to the public and contain the situation,’ she said. ‘I’m proud of the way our community responded respectfully to police instructions at the scene. Security is expected to be at an all-time high across the state following the incident. Mr. Ashton said he has asked the police to tighten up security at several major events over the weekend. 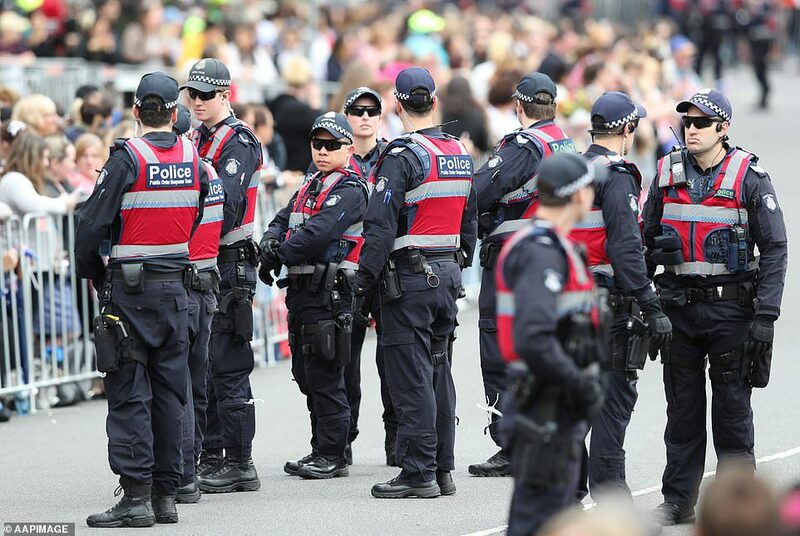 He said revelers at Stakes Day at Flemington Racecourse, soccer at AAMI Park and Remembrance Day on Sunday, in particular, should expect heightened security. 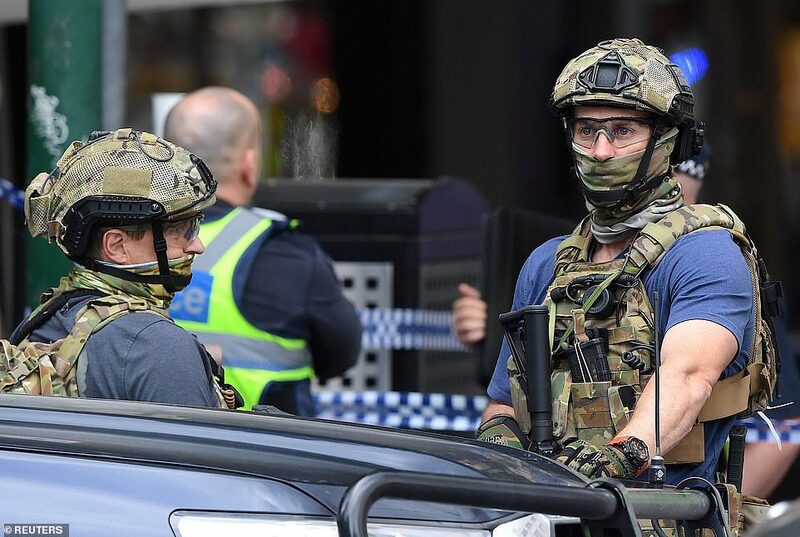 Mr. Ashton said the decision to ramp up security was necessary following the terrifying ordeal that unfolded on Bourke St in the heart of Melbourne on Friday. 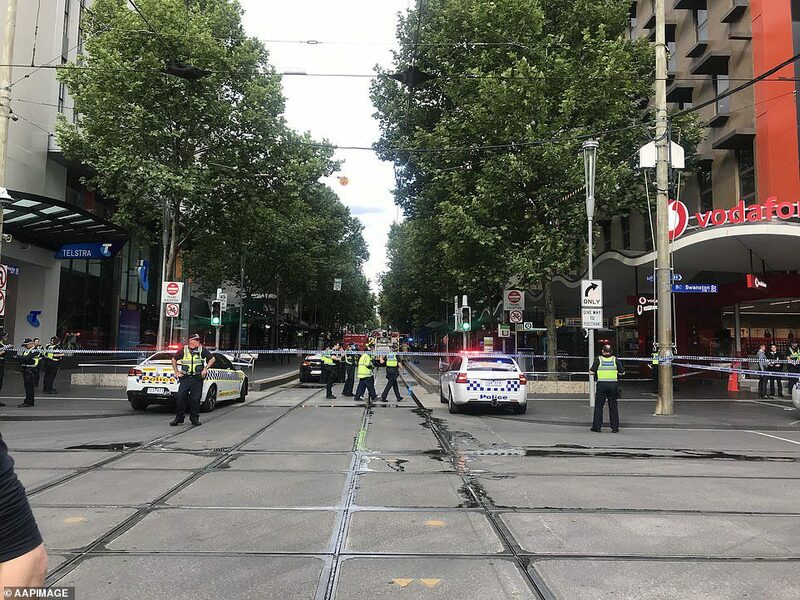 ‘We are doing security reassessments of those events in light of what’s occurred here in Melbourne in the late afternoon,’ he said. 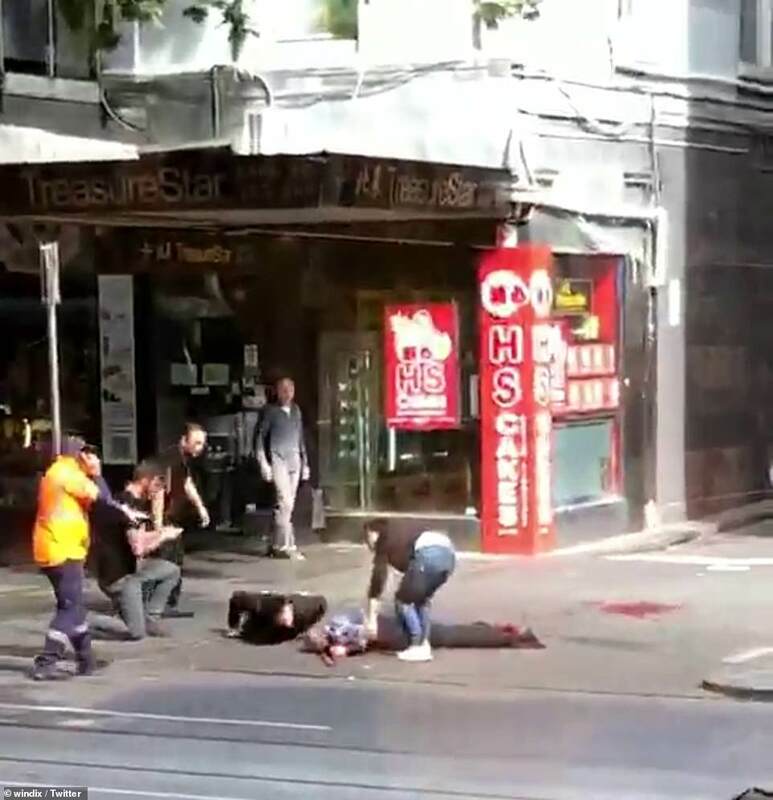 It comes as a trial continues into the horrifying rampage in Bourke St in January last year. James Gargasoulas is accused of deliberately crashing into pedestrians, killing six and injuring 27 others. Police will investigate whether Friday’s attacker was a copycat to last year’s rampage.